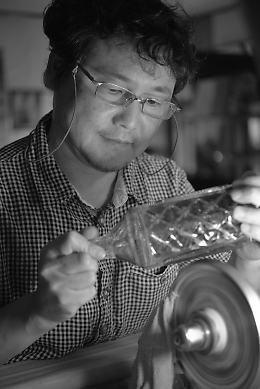 Shoho is a glass artist specializing in the Satsuma Kiriko style of cut and etched glass. He is a member of the Society for Japanese Arts and Crafts, and has 34 years’ experience in the medium. Shoho has won numerous awards and prizes for his work. His studio is located in Kawakami, Kagoshima. Satusuma Kiriko at local schools. To date, Shoho has been working as a professional glass artist for 34 years. 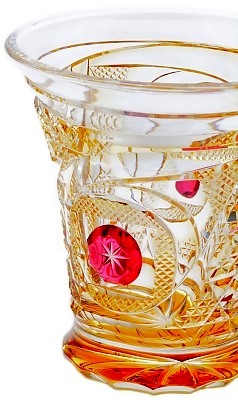 project of the Satsuma Kiriko cut glass making process, by the Shimadzu family. 2007 - Busho Glass Studio becomes incorporated. - Featured in Minami Nihon Newspaper (a division of Kyodo News Services) "Glass Artist’s Enchanting Designs "
from Junko Yaginuma, professional figure skater. - 1st Tokyo Press Exhibition in Nipponbashi: Kagoshima ‘ii-mono’ (premium products) Promotion - Exhibitor. - Cover photo for Mitsumi-Sumitomo premium Platinum Card Luxtage, July issue (front and back). - MBC South Japan Broadcasting TV show ‘4 Satsuma Artists in Paris’. - 2nd Tokyo Press Exhibition in Nipponbashi: Kagoshima ‘ii-mono’ (premium products) Promotion - Exhibitor. - ABC Asahi Broadcasting ‘It’s Morning! Live Travel Salad’ TV show: Studio visit with Lasalle Ishii. - Presentation of Black-on-Black innovative faceted glass cutting technique. - Honoured to make the acquaintance of Mr. Osamu Saito, winner of the French Arts and Culture Medal. - Exhibitor at the 47th Kyushu Chamber of Commerce and Industry, Kagoshima Competition (Hotel Shiroyama). - Honoured to make the acquaintance of Mr. Jörg Weszkalnys, preeminent glass artist at Meissen Crystal of Germany. 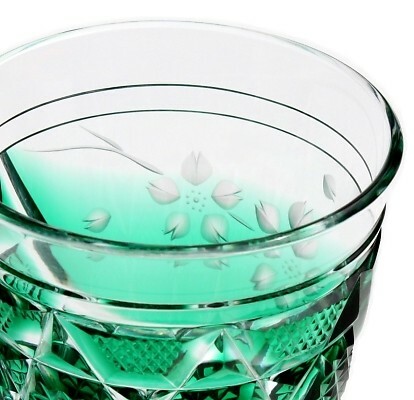 - Commissioned to supply glassware to the Consulate General of Japan (MOFA) , Marseilles, for presentation to honoured guests. - Featured craftsperson in “Shigotobito” website and circular. Satsuma Cuisine and Satsuma Shochu Association. - Exhibitor at the 30th Citizen’s Culture Festival, Main Exhibition. NHK documentary show Bi no Tsubo. - Exhibitor at the Nihonbashi Mitsukoshi flaghip store’s “Outstanding Products for Spring” exhibition at Hotel New Otani. - Kagoshima Yamakataya Department Store Art Gallery "Shoho and Akira Furugaki Two Person Exhibition"
- Appeared on KTS Kagoshima Minna no News TV News to promote the exhibition at Yamakataya Department Store. - Featured in a 5-page article in Fuji Dream Airlines in-flight magazine. Working Adults series of career-development seminars. - Appeared on NHK TV News in connection with Satsuma Sendai City, Sendai Elementary School “Genki Juku” lecture. - Appeared on NHK News Website in connection with Satsuma Sendai City, Sendai Elementary School “Genki Juku” lecture. - Appeared in Minami Nippon Newspaper in connection with Satsuma Sendai City, Sendai Elementary School “Genki Juku” lecture. at Hong Kong SOGO Department Store. to commemorate the completion of their hotel. - Commissioned to supply glassware to the Japanese Embassy (MOFA) , Mauritius (Africa), for presentation to honoured guests. - Kagoshima Prefecture High School Industrial Education "Learning Instruction Study Group"
copyright (c) 2004－2019　Busho‐Inc All Rights Reservd.